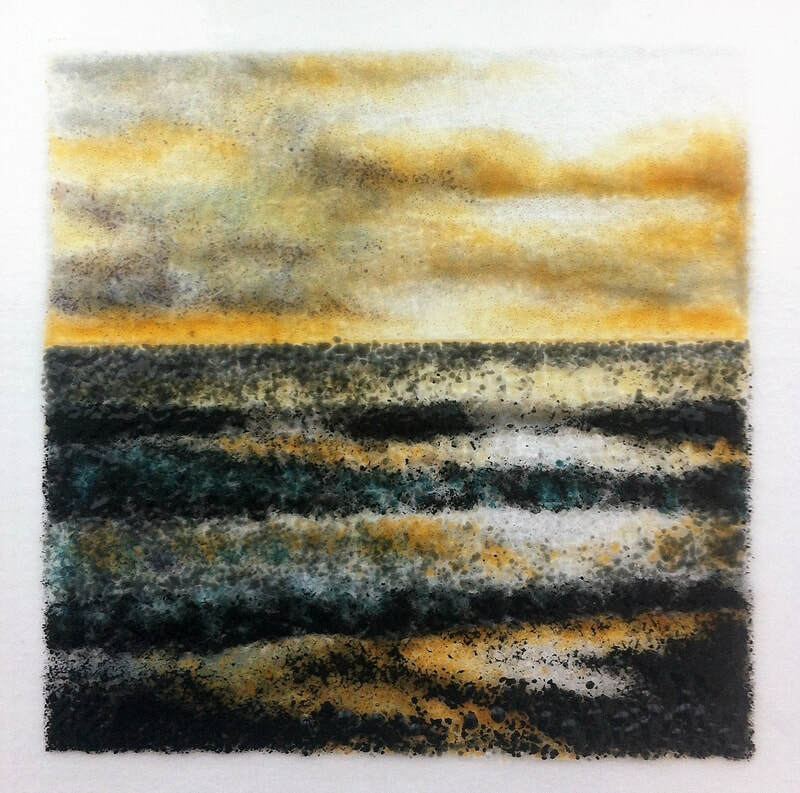 My current work mainly utilises the colours, textures and translucency of glass fusing materials and techniques as a fine art medium, an intuitive and painterly response to an image or drawing, further enhanced by the surprises created during the glass firing process. Favourite inspirational locations of mine are Cornwall and the South Downs. 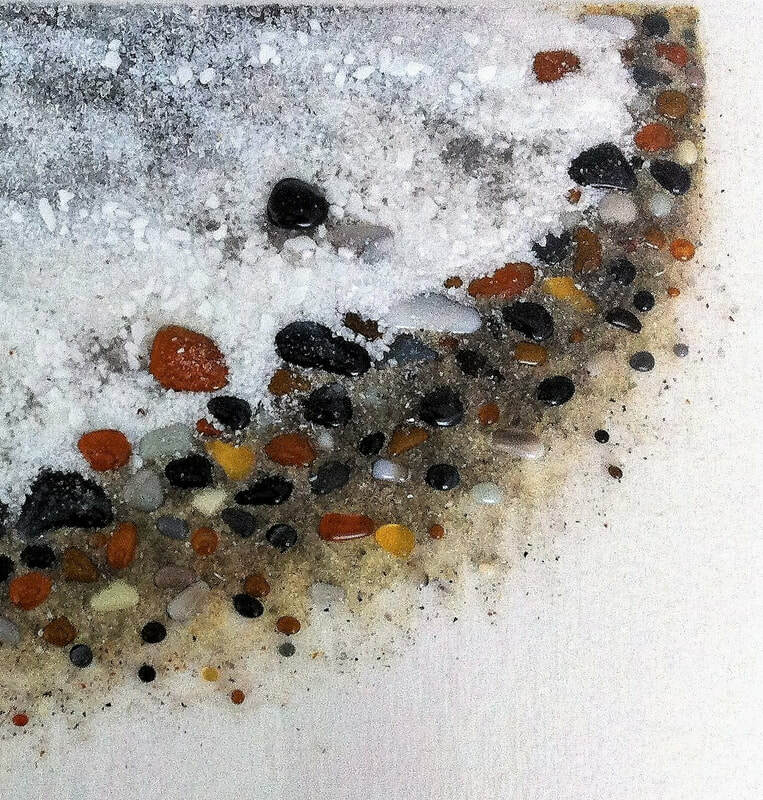 Fundamental to this process are my drawings in charcoal and pastel, which can provide the inspiration and starting point for my glass work, or become pieces of art in their own right. ​My work so far has been mainly using frit on sheet glass, and I'm now exploring the use of powder enamels within float glass. 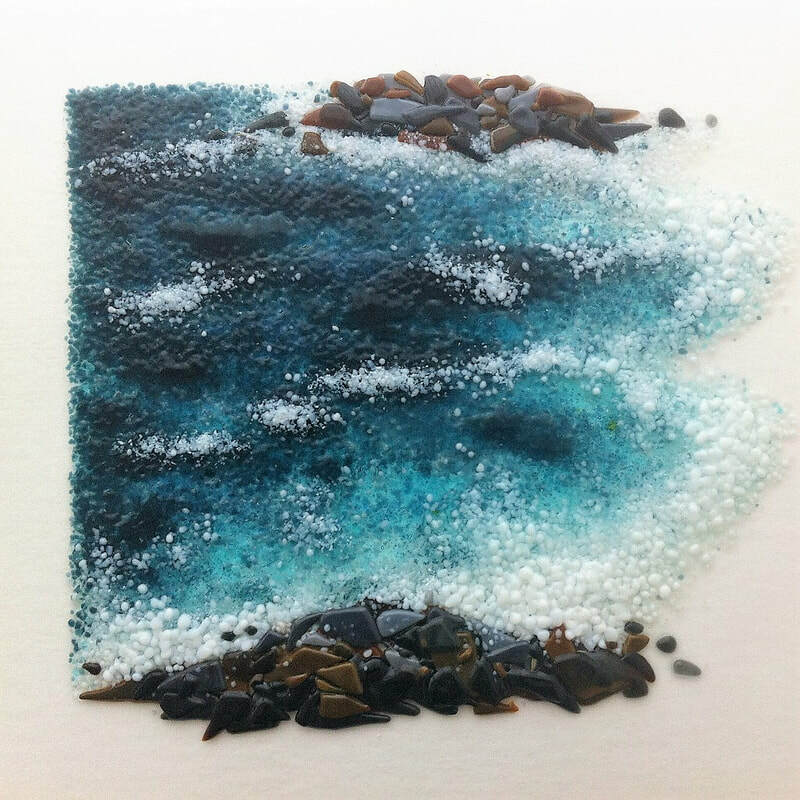 My aim is to explore and convey in glass, the wonderfully subtle colours and textures from my pastel drawings. After graduating with a Design degree, i had a career working and teaching in Art & Design. In 2006 I created and still run Artworks, an independent art studio in West Sussex offering a range of creative classes and workshops. 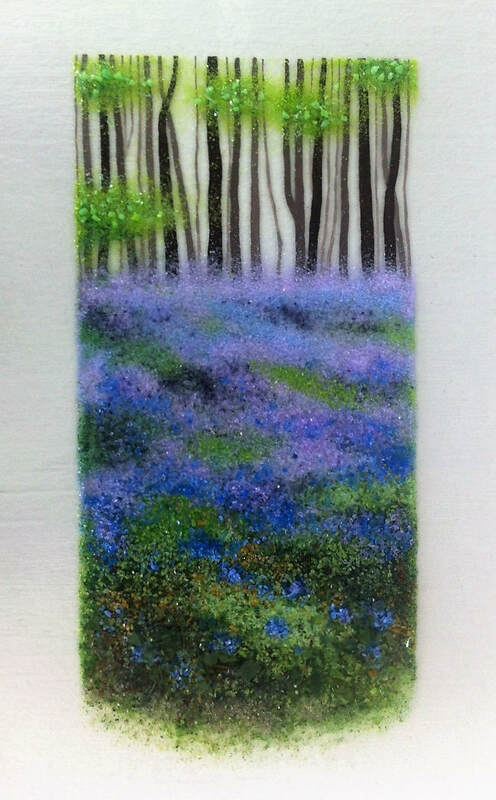 Fused glass is the most popular workshop in my programme. 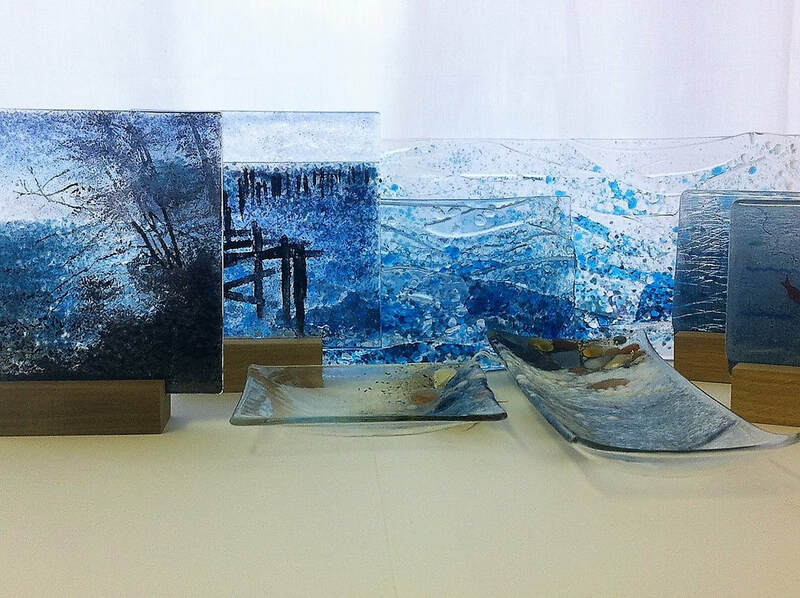 My own creative work has developed alongside my progress as a fused glass teacher.